Bon Jovi in Montreal or Quebec City? 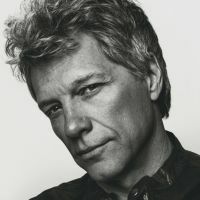 Inform me about the next events for Bon Jovi. Enroll yourself to our priority waiting list for Bon Jovi to be alerted when new tickets are available. Filling this form doesn't engage you to any purchase. Bon Jovi will be back in Montreal in 2018, but their shows planned for April 4th and 5th have been postponed... The April 4th show will take place on May 17th, and the April 5th show will take place on May 18th. The band last performed in Montreal on November 8th, 2013, at the Bell Centre. But a new album entitled This House Is Not For Sale was released in early November, 2016. Every time Bon Jovi is in town, Montreal goes nuts! Don't miss this exciting opportunity to see one of the most popular rock bands in the world live at the Bell Centre!